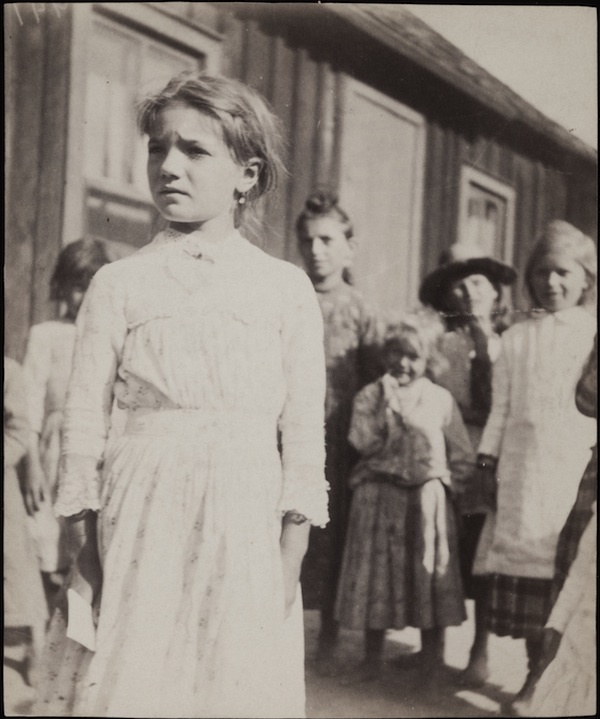 Sophie Shefel with a group of children in Bohemian Flats, Minneapolis | Who Built Our Capitol? Many of the newly arrived immigrants from the area that was known for a period as Czechoslovakia, settled by the banks of the Mississippi River in both Minneapolis and St. Paul and later moved to more secure areas. Despite the name, the people who lived in Bohemian Flats in Minneapolis were mostly Slovaks. A predominantly Bohemian community, from what is now called the Czech Republic, lived in the Upper Levee in St. Paul before moving to the neighborhood around West 7th Street, where the Czech-Slovak Protective Society (CSPS) Hall still stands at the corner of Michigan Street. The Bohemians were followed by Italian immigrants to the Upper Levee. Many of these families moved to neighborhoods around West 7th Street and Payne Avenue, but Italian communities continued to occupy the Upper Levee and Swede Hollow until the houses were razed by the city in the 1950s.